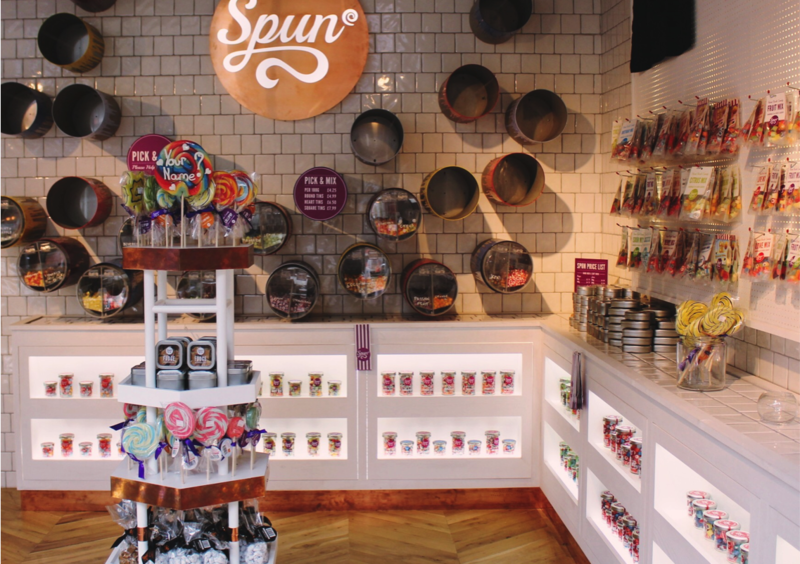 A stone’s throw from Liverpool Street Station; the new Spun Store presents exciting interiors designed by the KAI team. 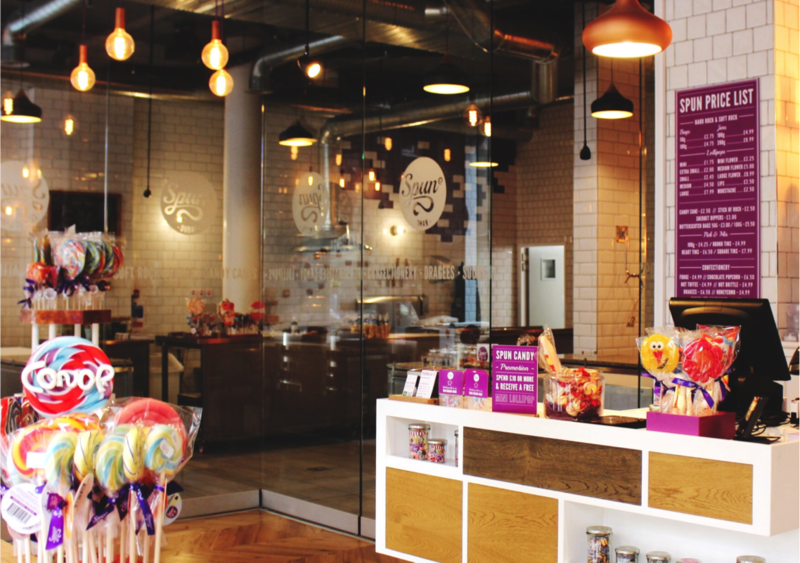 Abstract tile arrangements and unusual displays all add to the expansion of the Spun Candy franchise featured on The Apprentice, BBC 2016. Being one of their largest stores yet has enabled them to develop master class workstations and a separate shop space, continuing their modern interiors and striking use of colour. The store is selling a delicious selection of homemade candy and also allows you to experience their incredible master classes, where you too can create handmade sweets and confectionary.